One of the most common questions I get asked, is how much food should I feed my parrot? The most common mistake with anybody feeding their parrot, is that they feed them too much food. For example, they buy a parrot cage that has some large bowls in it and the misconception is that the best thing to do is to keep the bowls full of food at all times. Parrots are very intelligent creatures. If you give them a good quality, mixed seed diet but you over feed them, then like children, if you give them the choice of all sorts of food including chocolates and sweets, they would eat those first and never get a balanced diet. 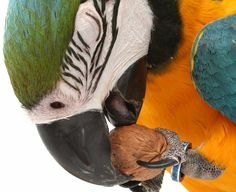 The best thing to do is to feed your parrot(s) enough seed so that they run out of seed halfway through the afternoon. If they run out of seed at midday, then give them some more food. If the following day you are throwing away a lot of seed, then you are overfeeding your parrot. If you overfeed your parrot, problems can appear. Typically they can get too fat, they don’t get balanced diet and won’t eat any fruit or vegetables. The best thing to do is to give them their food first thing in the morning, monitor how they eat and then the feed should run out halfway through the afternoon. But always have fruit and vegetables available so that they’ll never go hungry. On top of this, any bird, from a sunbird to an ostrich and including parrots, will need a vitamin supplement. 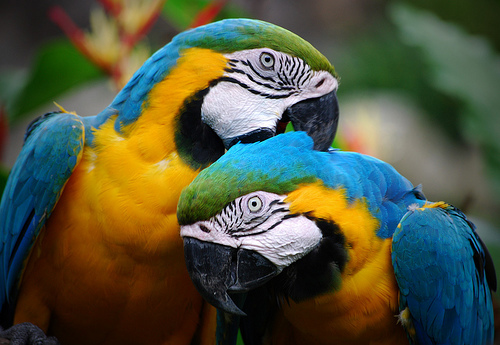 A vitamin supplement adds what is missing from what a parrot would eat in the wild and what is fed in captivity. The best way to feed a vitamin supplement for a parrot, is take a pinch of a mulitvitamins (such as the Harveys Multivitamins 50g) and put that pinch on top of the seed everyday. It is a very small amount of multivitamins but it is essential that they get it on a daily basis. 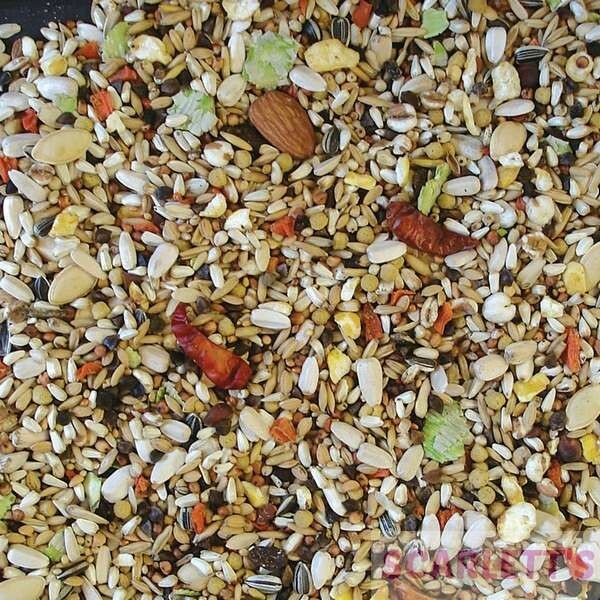 To give you an idea how little a parrot eats, when I had 50 pairs of African Greys at my house, half a mug of seed is all I fed per pair of birds per day, (plus fruit, veg and one palm nut per bird per day). 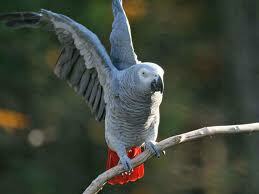 They’ll eat most fruit and vegetables but birds like African Greys can be very fussy indeed. And if you overfeed them, they wont touch anything else. 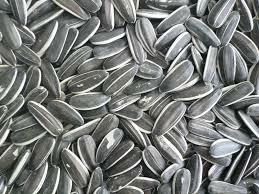 Many people will go on the internet and see that sunflower seeds are not good for your birds. Sunflower seeds aren’t bad for your birds, but what often is bad for your birds, is that they’re not fed correctly in the first place. If you overfeed them and leave lots of food in the pot, then, being intelligent and often lazy, your parrot will eat whatever is easiest to eat, which happens to be a sunflower seed. So you can buy the best diet in the world, but if you overfeed it, they will not be getting a balanced diet because they will just pick out the sunflower seeds. And if this happens over a long period of time, then they can become, as some people put it, sunflower junkies. There are many other things you can feed your birds as extras, for example cedar nuts. In our range we have have all sorts of products to make their life more interesting that they can try. But do remember that all these extras you give them are a part of their diet. Therefore be aware about how much you give them in a day, and if you give them too much food, you can imagine that what they end up doing is going through their seed, spilling most of it on the floor because they’re not really that hungry, and just finding the bits they like. Then, if you’re not careful, they don’t get a balanced diet. Having an overweight bird is also a problem if you’re trying to breed them. They may look healthy, have wonderful feather condition, go through all the motions of breeding, but an overfed bird can often produce infertile eggs. It is best not to give a weight of feed per species of bird, because all birds, like humans, are different. Some of them burn up fat quicker than others and everyone tends to keep their birds differently. If your birds in a cage all the time, it may not use much energy, if its flying in an aviary or around your house, it is using much more energy. So rather than saying a certain bird has certain weight of seed, it is far better to monitor the seed so that it runs out half way through the afternoon. If you have nay questions please do not hesitate to contact Rob Harvey’s Specialist Feeds at 01420 23986.